One of the best ways of promoting your business is by giving your potential and regular customers a way of viewing all of your products, services and contact details in one place (i.e. in a Booklet or Brochure). 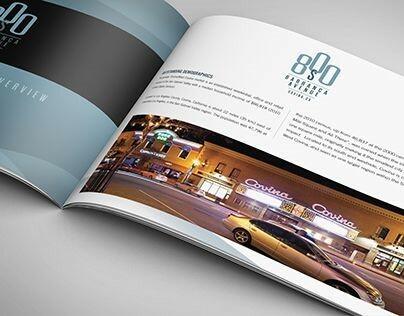 You can get high-quality custom printed Booklets really cheaply, and with over 80 pages ready for you to fill, they’re sure to benefit your marketing strategy because you’re letting everyone know who you are and what you do. 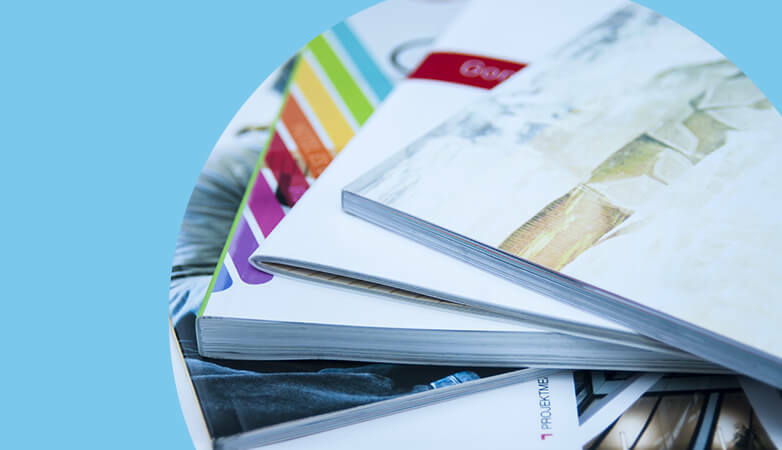 Here are our top 5 benefits of using Booklets and Brochures for your marketing. How Easy is it to Distribute Booklets/Brochures? It’s all very well spending time and money creating a stunning Booklet design and ordering them for print, but you’ve got to make sure you move them once they’ve arrived – don’t just leave them lying in an office or warehouse somewhere to be forgotten! Booklets and Brochures are really easy to distribute to your target audience, and there are loads of different ways of giving them out, so there’s sure to be a way that suits your business perfectly. One really simple way of distributing your Booklets or Brochures is by displaying them in really strategic places. These can include around kiosks or public bulletin boards (like you might find in local supermarkets, libraries etc. 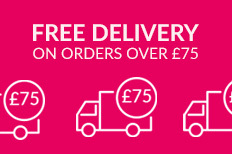 ), in your company’s reception area, or even inside packaged orders to your customers – if you’re doing it this way, you could include special offers to try and encourage reordering. One of the best things about printing Booklets to use in your marketing is their price, especially if you’re ordering in bulk. The larger your print run, the cheaper the overall price that you’ll pay. Also, you have a lot of control over the cost of your Booklet order because of how many options you can choose from. You can simply adjust the price by basing your decisions on what you can budget for – for example the number of pages your booklet has, the paper type you’d like to use and what finishes you want for your product. Customisation empowers you to make the right pricing decision for your business. Are Booklets an Effective Way of Marketing? Action – move the customer to interact with your company through a call to action, e.g. order a Booklet, or order an item from your sales Booklet. To use this model to your advantage, make sure your Booklet grabs attention, entertains your potential buyer, creates a desire for the product or service offering and then pushes them towards a specific action, e.g. buy now, visit your website or make an appointment. Just make sure it’s really easy for customers to respond. As well as this, Booklets and Brochures are far more effective than digital advertising (e.g. a website banner flashing on your screen) because they require the customers’ undivided attention. They invite the reader to sit and sift through the pages, browsing your products, which is loads more effective than if they were to just scroll past a paid online advert on their smartphone. Can I Give Booklets Out as Promo Gifts? Booklets and Brochures work really well when used as part of a promotional giveaway or media kit. 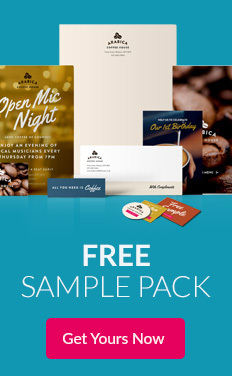 You can either add them to a goody bag filled with other marketing freebies (check out what we think make great swag bag gifts here), or with samples of the products you offer – this way, you can give potential customers a taste of what you sell and give them the means to make a purchase if they like what they see. How Can I Get People to Read My Booklets/Brochures? If people like what they see, sales Booklets and Brochures will often create their own referral system – with no extra cost to you! Because of their printed form, it’s really easy to pass them on person from person, meaning customers will be inclined to share them with their friends, family or colleagues. The most important thing to get people reading your Brochure, is to persuade people to open the front cover (that’s the most difficult bit!). A great design will help ensure that people are intrigued enough to take a look inside at the main content. 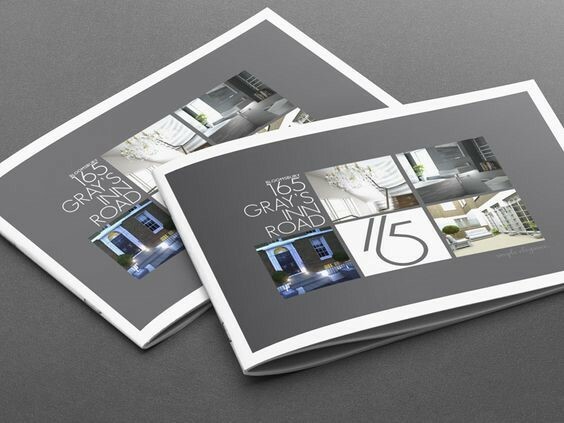 If you’re in need of some inspiration for your design, we found these Booklets amazingly eye-catching! We hope that this has boosted your confidence in how to use Booklets and Brochures in a way that benefits your business. If you use any of the ideas from this blog post for your awesome Booklet or Brochure, we’d love to see pictures of your print. Share them with us on social media by tagging us @instantprintuk or #instantprintuk!